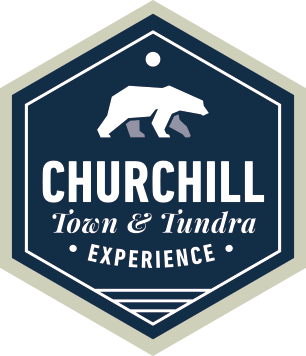 Visit Churchill, Manitoba - the polar bear capital of the world - and experience the excitement of polar bear viewing from an official Tundra Buggy®. Join Frontiers North Adventures for one day, where you will journey to the heart of polar bear country in the Churchill Wildlife Management Area, a conservation area that is home to the largest concentration of polar bears in the area. Supporting Assiniboine Park Conservancy: Guests will join Dr. Stephen D. Petersen, Head of Conservation and Research at Assiniboine Park Zoo on our November 6th one-day excursion to Churchill, Manitoba, Polar Bear Capital of the World. For each guest on the tour, Frontiers North Adventures will donate $150 to Assiniboine Park Conservancy (APC). This whirlwind adventures takes you from Winnipeg right into the center of the action, the Churchill Wildlife Management Area, for a full-day Tundra Buggy experience. We begin our adventure with a private charter flight to Churchill. The short journey will take us over the changing landscapes of Manitoba, from prairie fields, to boreal forests, over the tree-sparse taiga and finally into the vast, flat landscape of Churchill’s tundra. Landing in Churchill in the late morning, we will be transferred directly to the Tundra Buggy Dock where our journey into the Churchill Wildlife Management Area begins. Led by a professional and knowledgeable Tundra Buggy Driver, our day will be spent exploring the trail network in the Churchill Wildlife Management Area, where we will have the chance to see polar bears in their natural habitat as well as other incredible subarctic wildlife such as arctic fox, arctic hare, ptarmigan and snowy owls. At midday we will enjoy a picnic-style lunch right on the Tundra Buggy as we enjoy the landscape and wildlife around us. In the late afternoon our Tundra Buggy Driver will turn back to the dock area for our trip home. The group will be transferred to the airport for the flight home to Winnipeg (light meal is provided during flight). All prices CAD, plus applicable taxes. All prices, inclusions, and dates may be subject to change due to circumstances beyond our control.